Just as the long awaited Game of Thrones final season begins, winter is not coming but disappearing, at least for another year. It is not winter, but spring that is coming. And with Spring, Easter is not far behind. Instead of the grey somber skies of winter, we see fluffy white clouds against a bright blue sky, clouds promising the rain that brings the green landscape of Spring. But their silver lining is tarnished. The coming of Spring also brings the yard’s Spring cleanup. Spring’s annual rendezvous with entropy tunnels my vision onto the ephemeral. As curses slip from my mouth in my annual struggle with the sprinkler system, Easter fades. Maybe that was the original purpose of Lent, a religious observance of the Christian Church beginning almost within sight of the first Pentecost. Life intrudes. The day’s chores lead our wayward mind to wander from God, whether we are French peasants toiling in service of the nobility or pampered retirees struggling with our yard to meet the minimum requirements of our HOA. As a member of the Evangelical sect, I long ago cast off the “meaningless” rites of the traditional church. Proud of my independence from tradition, I hold to the Word, not the unchanging rituals of generations long gone. But being proud while claiming to hold to the Word simply showcases the emptiness of my beliefs about tradition. Ritual is only as empty as we make it to be. Being reminded of Christ’s crucifixion at every meal for forty days will focus mind and spirit if so we allow. Our spirits have in them a heart for eternity, but our flesh is so easily distracted. This year my spirit, that deeper self, working at its thankless task of unsettling my thoughtless present, suggested that writing might keep me in a better state of mind for Easter’s approach. Who says that ritual has no place in the life of a modern Christian? For some reason, perhaps the Spirit stirring within me, Peter has been on my mind. Is it the Spirit or is it simply that prideful rebel hiding within seeking escape from the confining embrace of my Evangelical circle’s’ thoughts and understandings? Even committed Christians seeking to follow Christ fall into ruts, content with the familiar, dare I say, rituals of mind and worship – the path well worn. The New Testament is a familiar and welcoming place to the Evangelical Christian. The Gospels and the writings of Paul are the Evangelical’s home court. When we are adventurous, the Epistle of James is a goad reminding us true faith is fruitful, not barren. The Old Testament and the Book of Revelations are the marches, places where the warriors of exposition test their mettle. What can I say? Paul speaks Truth. He speaks clearly and forcefully, words and phrases etching themselves in our memory even as they have echoed from pulpits through the centuries. 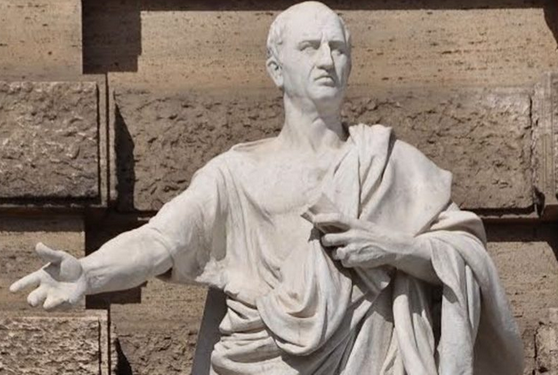 Paul is in the tradition of Cicero. Whereas lawyers of today speak in the passionless logic of engineers, the lawyers of antiquity were unequaled architects using words in the construction of elegant logical arguments. When we seek guidance in what it means to be a Christian, Paul gives us answers, clear uncompromising no-nonsense answers, but written in prose both beautiful and memorable. In the parlance of an old baseball fan, Paul “throws smoke”. But in this year of 2019, it is Peter who weighs on my spirit. Honesty compels me to admit that my walk with Christ has more in common with Peter than with Paul. Christ came to Paul in blinding revelation on the road to Damascus. From then on, Paul was God’s warrior fearlessly proclaimed Christ and the salvation on offer while suffering every kind of hardship for doing so. On those infrequent times when we remember Peter, it is often his failures that come to mind. When he isn’t drowning in the lake, Peter acts as a foil, the straight man, for Jesus during his short walk in this world. Peter is the disciple with his foot in his mouth, the disciple that misses the message and just doesn’t get it. Peter keeps trying but keeps getting it wrong. Peter promises much, but delivers little. It sounds a lot like my own walk with Christ. Paul was a member of the Jewish elite, a “Harvard” grad on the fast track to the highest echelons of the Jews. In his own words, he was a big city boy, educated to be a rabbi by Gamaliel, trained in Greek logic and a Roman citizen, a Pharisee of the Pharisees, a legal eagle, righteous and faultless, advanced beyond other Jews. Paul had no wife, no children and no evidence of a connection to parents or other family. His career was his life, a rising star in the Jewish world. We first meet Paul holding the robes of the pious mob of Jews stoning Stephen, the Church’s first martyr. 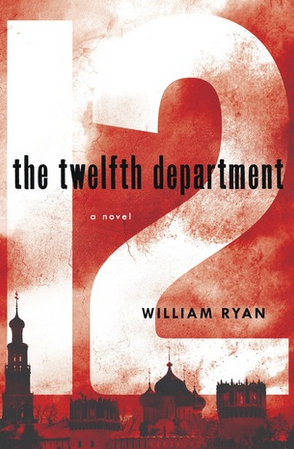 An ambitious young man, Paul takes a lead role in the first great persecution of the early church. Do you suppose I might call him an Adorable? Peter was from a different place. When we first meet Peter he is cleaning up his father’s boat after a day spent fishing. Instead of the big city, Peter came from Bethsaida, a village of hicks in the hills of Galilee. Instead of a rising star in the ruling class, Peter was married, working for his dad alongside his brother. He was burdened with caring for his mother-in-law. The smart set in Jerusalem, including Paul, would have snickered, calling Peter an “Am ha’aretz” (people of the land). Can anybody say Deplorable? Paul was an Adorable and Peter was a Deplorable, but God used them both in a mighty way. It is important to remember such things from time to time. We often get lost in the echo chambers of our own prejudices, thinking those other people beyond the pale. We forget that we are all God’s children, fallen and in need of the redeeming work of his Son, Jesus Christ. He uses each of us in his own incomprehensible fashion, loving each and every one of us as individuals. But as I grow in years and what I pray will become a wise maturity, I find myself drawn to Peter. Perhaps it is because of Peter’s blue-collar origins, perhaps because he had a family and responsibilities, perhaps because his stumbles allow me to feel better about my own. Perhaps it is God’s Holy Spirit seeking to help me along into that wise maturity for which I pray. Is there any place in Scripture where I am addressed so directly as in I Peter? That’s pretty direct. I hear Peter saying “Listen my children! If you call yourself a Christian you need to hear this.” Peter’s words are from one of the Apostles, his valedictory from an eventful life, his final thoughts passed on from a wise maturity to his brothers and sisters in Christ. Peter didn’t start out as a wise elder, or even an educated young intern building his resume by paying his dues in Jerusalem. Peter started out a fisherman named Simon, one of the “Am ha’aretz”. But Simon had a brother named Andrew who hung with two of Jesus’s cousins, young men by the name of James and John. These three, Andrew James and John, were probably typical young men, full of passion and caught up in the ferment of the times. One can see young men probably just like them on CNN, mobs of them throwing rocks in Middle Eastern streets. I imagine that Simon was also stirred by the passions of the time, but he had responsibilities. He had a wife and a job. In any case, Andrew, James and John hung around the crowds gathering to hear John the Baptist rail against the establishment. 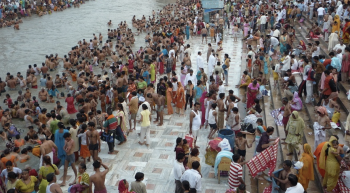 The Baptist was calling for repentance and drawing big crowds. His rhetoric was angering the establishment in Jerusalem and Caesarea, while the crowds were genuinely frightening them. Judea was a room filled with gas fumes and John the Baptist was walking through it, smoking cigarettes. One day John and Andrew overheard John the Baptist tell a couple of men talking with him that this fellow Jesus, another young man on the fringes of the crowd, was God’s anointed one. On hearing this Andrew and John searched out Jesus and spent the day following him around, talking to him. The next day Andrew came back to Jesus, dragging his brother Simon along. Interesting start to a relationship, don’t you think?. How do you respond when you are introduced to someone and they say, “I think I will give you a new name”? Whereas the name Simon means “listener”, the name Peter means “the rock”. At this point in time, neither name described Simon Peter. I think Peter probably became a good listener, but there is no doubt that Peter became The Rock. Peter appears in numerous vignettes throughout the four Gospels. Almost always he is the lightning rod among the disciples of Jesus. Jesus says something that nobody understands at the time. The other disciples dissemble, keeping their mouths closed, no doubt with eyes down, sneaking peeks to see if anybody else gets it. Peter is equally clueless, but instead opens his mouth, making clear to everyone that he doesn’t get it either. But there is no doubt that Peter loves Jesus and is totally loyal to him. Over a period of three years, Peter follows Jesus. It is said, tongue in cheek, that when Jesus stopped suddenly, Peter bumped into him. Along with Jesus’ two cousins, James and John, Peter is in the inner circle of Jesus’ followers. What happens to Peter’s responsibilities during these years, his wife, his mother-in-law, working with his dad on the fishing boat? We don’t know. Then after three years together comes the denouement. Flood stage arrives and the dam breaks during the yearly celebration of Passover in Jerusalem. On his way to Jerusalem, Jesus electrifies the gathering crowds by raising a man back to life. Lazarus, Jesus’ friend, had been dead and buried, four days in the grave. Jesus, openly weeping, stands in front of the tomb and asks for its stone cover to be removed. The smell must have been overpowering and then Jesus cries in a loud voice, “Lazarus, come out.” Lazarus comes out of the tomb. Jesus then enters the city riding on a donkey as crowds deliriously cheer him as the Son of David, the long awaited Messiah. The authorities descend into a paranoid hysteria. Jesus clashes with the religious authorities in the Temple, going so far as to drive the corrupt moneylenders out of the Temple’s courtyard. The air in Jerusalem crackles with tension as tempers mount on the Temple Mount. On Thursday night, Jesus sits down for a Passover Supper with his closest followers, the twelve disciples in the Upper Room. The men in the room are excited, believing their time at hand. They are positive Jesus is going to announce that he is indeed the Son of David. He is the Messiah come to claim his kingdom, overthrowing the Romans, the doubly despised Herodians and kicking out their Jewish collaborators. The men in the room, the disciples of Jesus, were not without ambition and expectations of great rewards. The so-called Sons of Thunder, James and John, had even enlisted their mother, Jesus’ aunt, to argue their case as they jockeyed for the best positions in the coming kingdom. Jesus had needed to rebuke them all for their arguments about their status in the coming triumphal kingdom. Instead of a team on the verge of a win in tomorrow’s Super Bowl, it is a weird night in the Upper Room. 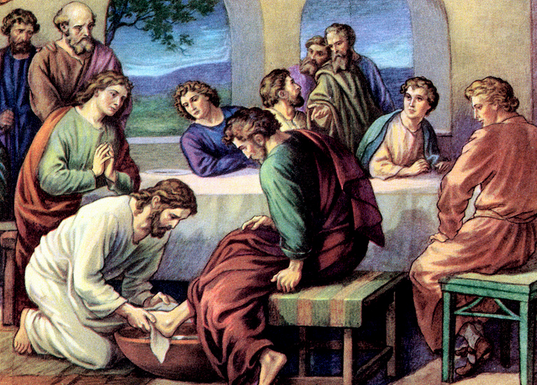 At supper, Jesus begins by going around the table and washing the feet of his disciples. Jesus! Himself! On his knees! Washing each one! This is wrong on so many levels that Peter’s jaw must have gone thunk as it hit the floor. Even more outré, Jesus serves them bread to eat and wine to drink while saying that they are eating his flesh and drinking his blood. What are they to make of that? Is all the stress and the tension making Jesus go a bit off the reservation? The disciples are accustomed to Jesus saying things they don’t understand, but this is getting decidedly weird. Even outside of the weird stuff, Jesus speaks as a man going to his death instead of a conqueror ascending his throne. During the meal, Jesus engages in a soliloquy musing that they, his closest friends, will abandon him – even saying that they will denounce him. Jesus and his disciples left the Passover Supper, going to the Garden of Gethsemane where Jesus wanted to pray before his coming ordeal. At the Garden, Jesus asked Peter to keep watch at the gate while Jesus prayed inside. Three times Jesus returned to the gate, each time finding Peter sleeping. Then the soldiers came and Judas, their comrade and one of the disciples, betrayed Jesus into the hands of his enemies with a kiss. Peter followed along behind the soldiers taking Jesus to the palace of the High Priest where he would be tortured and interrogated. Once in the courtyard, Peter mingled with the servants and officials there on duty along with gawkers, simply watching with fascination at the spectacle. Three separate times one of these people recognized Peter, accusing him of being with Jesus. Each time Peter vehemently denied knowing Jesus, going so far as to curse Jesus. The Gospel of Luke tells us that just as Peter is in the act of speaking, denying Christ for the third time, the rooster crows for a second time. At that very moment, Jesus, silently suffering the whips and blows of his persecutors, catches Peter’s gaze, looking into his eyes. As is almost always the case when we guarantee our behavior to God, Peter had failed miserably. Peter remembers his words at dinner, only a few hours before – his vow to never disown Jesus no matter the cost. Peter runs from the courtyard weeping bitterly. It is Good Friday. Take the worst day of your life and multiply it by ten, multiply it by a hundred. Friday was a pit of black despair for Peter. He had given up everything to follow this charismatic rabbi for three years. Now this rabbi was being executed. Maybe this rabbi had been a true holy man, or maybe he was just crazy mystic. The hills of Galilee were full of them. But Peter had loved Jesus like a brother. And then Peter had denied Jesus, in the process discovering himself to be both a liar and an abject coward. Saturday was another day. Perhaps Peter was numb with shock. Jesus was gone, laid in a tomb. The twelve disciples, along with the other close followers of Jesus, made tentative contact with each other, unsure whether they were fugitives or simply part of the flotsam of humanity sloshing around in Jerusalem. Then on Sunday the craziness that was part of life with Jesus began again. Some of the women went to his tomb, hoping to dress the body in death but instead finding the tomb empty. The women even claimed that an angel had spoken to them. Dubious of their report, Peter and John had gone to the tomb as well and found it empty. As more time passed, Jesus had appeared to them. He had spoken with them. He had eaten with them. It was all very confusing. But life goes on, even miracles become lost in the quotidian rhythms of life – back to that Lenten thing spoken of earlier. Whether a homeowner aerating his lawn or Peter adrift in Jerusalem, life goes on. Human beings need to eat and sleep. They need familiar surroundings and routine. Rather than mope around Jerusalem scrounging for food and shelter, Peter and a few of the other disciples decided to return to Galilee. Jesus had told them to remain in Jerusalem and wait for a promised visitation from God. But things were up in the air, really up in the air, they were confused and they knew how to fish. Back in Galilee after a fruitless night of fishing on the lake, dawn broke and it was time to go in and have breakfast. They were coming in, about a hundred yards from shore, when they saw a man standing on the shore. This stranger called out to them, “Friends, haven’t you any fish?” Discouraged over recent events as well as a hard night’s work without result, they called back –“No”. This stranger then called out again for them to let down their net on the right side of the boat. “Huh? Okay, why not? What is there to lose,” they thought? Peter and the others in the boat let down their net on the right side of the boat where it began to fill with fish so fast that they feared for the net and for the boat itself. Peter knew at once that this stranger was Jesus, could only be Jesus. He threw himself into the water, swimming to shore, forgetting everything except his need to be with Jesus. It was a strange breakfast, continuing the pattern of recent days. Jesus made their breakfast for them, bread and fish. Nobody spoke. The disciples knew it was Jesus, but were afraid to speak. What do you say to God as he is bent over the campfire fixing you breakfast? “I’d like my fish a little crispier please?” Jesus himself was silent other than inviting them to eat, serving them himself. After breakfast, we come to the heart of the matter. The scene is not set, but perhaps we can imagine the men are all sitting around the remains of the fire, maybe waiting for what comes next? Perhaps the time stretches a bit and the silence becomes a bit uncomfortable. According to Scripture, the resurrected Jesus had appeared to them before but there had been no real interplay between them. This looked different. Putting it in our own terms, it seemed that Jesus had an agenda. Everybody is not only tired from being out on the boat all night, but disoriented from the events of the past weeks. Peter especially must be torn apart. How can you not be shaken when you are forced to come face to face with the real you? It takes time for the scar tissue to form and numb your pain. The scene narrows its focus as Jesus looks into Peter’s eyes, perhaps stretching out his hand to indicate the fishing boat and fish, and asks of him – “Simon, son of Jonah, do you love Me more than these”? Jesus responds with enigmatic words, “Feed my sheep”. Time passes. The silence stretches. 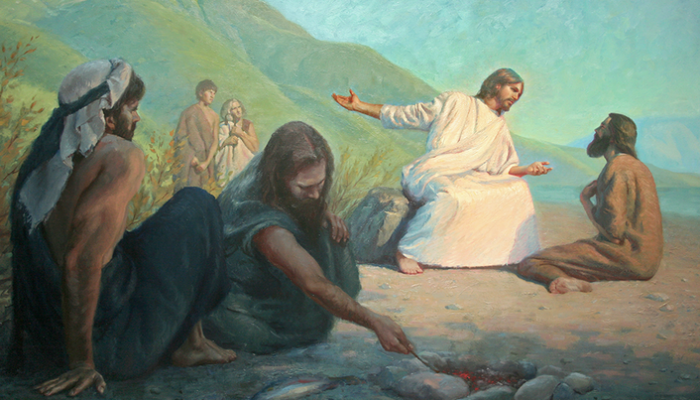 Jesus asks a second time, “Simon, son of Jonah, do you love Me?” I expect the silence around the campfire was profound, with only the sound of waves on the shore in the background. I expect Peter’s head hung while the others heartily wished to be somewhere else but here. What can Peter say? He loves Jesus, loves Him desperately, but talk is cheap. Peter was full of bravado only a few days ago, boasting of his love, but when put to the test – abject failure. How can anyone believe him, but what else can Peter say? “Yes Lord, You know that I love You.” Again, the enigmatic answer from Jesus, “Tend my sheep”. The silence around the campfire returns, deepening if that were possible. The situation is getting painfully uncomfortable. One wonders what the other disciples thought at this moment? What did they see when they looked at Peter? The Bible is silent on such things, maybe because we are to focus on God rather than petty jealousies among friends and fellows. But did the other disciples see Peter’s unthinking impulsiveness, his need to jump in speaking for them all and resent it? When the others look on Peter might they remember Proverbs warning of “clouds without rain”. Jesus tells him once more, “Feed my sheep”. Perhaps only now does Peter understand. Perhaps only now can Peter see the loving eyes of his Savior in the face of his Judge. Jesus has a job for Peter. Yes, Jesus knows all about Peter’s failures, but Peter is forgiven. Jesus knows that forgiveness is not possible without repentance, until after we are laid bare with our failure plain to see. Jesus has spent three years investing in Peter – and the others. They are only men and so prone to weakness. But they are the foundations from which the Christian Church will be built. Peter himself, a short while later, will boldly proclaim the Gospel in Jerusalem such that three thousand souls are saved at the coming of the Holy Spirit. Peter hears Jesus and understands his words. Peter will live a full life and grow to be an old man. But at the end of his life, Peter will get a second chance to show his love for Jesus, and this time Peter will be up to the test. Jesus tells Peter that he will die a martyr’s death after a full life. Peter’s profession of love is not just words, they will be deeds as well. It is the tradition of the Christian Church that Peter died in his mid-sixties during the Emperor Nero’s persecution of the Christians. 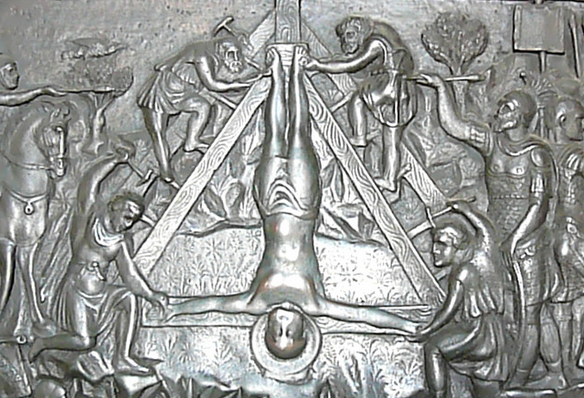 It is said that Peter was crucified upside down at his own request, insisting to his executioners that he was unworthy to die in the same manner as his Lord. This is the Peter, speaking to us from out of his two letters, a man who lived life and drank deeply. He did not meet Jesus on the road to Damascus in a blinding vision. Peter met Jesus in the hills of Galilee, coming home from a hard day’s work. He knew Jesus as a man. He ate meals with him, joked with him, shared the burdens of an itinerant lifestyle with him. Peter saw Jesus go to the bathroom. Paul speaks to us as a paragon, a man of a higher station in life, of more talents and gifts than ourselves. Paul is a model of human excellence. Yes he persecuted the Church, but he excelled at it. Jesus came to him on the road to Damascus and turned him around. He became a missionary as well as a teacher of the Gospels. He excelled at that too. Paul, except for his mysterious “thorn in the flesh”, had no weaknesses, excelling at everything. Paul lived his life as in running a race, a race he determined to win. Peter speaks to us as our beloved grandfather, a man who lived through the same everyday hills and valleys forming our own existence. Peter had to work for a living. He had a family, in-laws, all the sorrows and joys that go into the making of a well-seasoned Grandpa. His letters have the tone of a man who had made his own mistakes, suffered from them and learned from them. Peter has no illusions. The death prophesied by Jesus some thirty years before is at hand. Peter will get a second chance to prove his love. One of the Church Fathers, Eusibius, writes that Peter was joyful, shouting encouragement as he hung on the cross. Peter was going home. But before he goes, Peter wants to remind us of the Truth, and of the truths he learned through his own mistake filled experience. Great piece of writing, Bill. Thank you for sharing this. Wonderful perspectives conveyed in a nice flow – good job!